How do I set draft orders? Commissioners can preset draft orders using the settings > draft settings > draft order section of each draftboard. 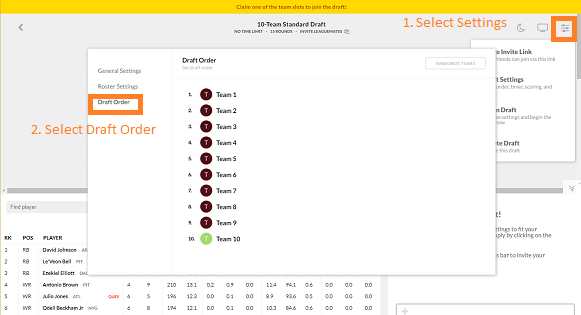 Draft orders can be either set by commissioner's choice, or we can help randomize the order automatically using our randomizer tool.